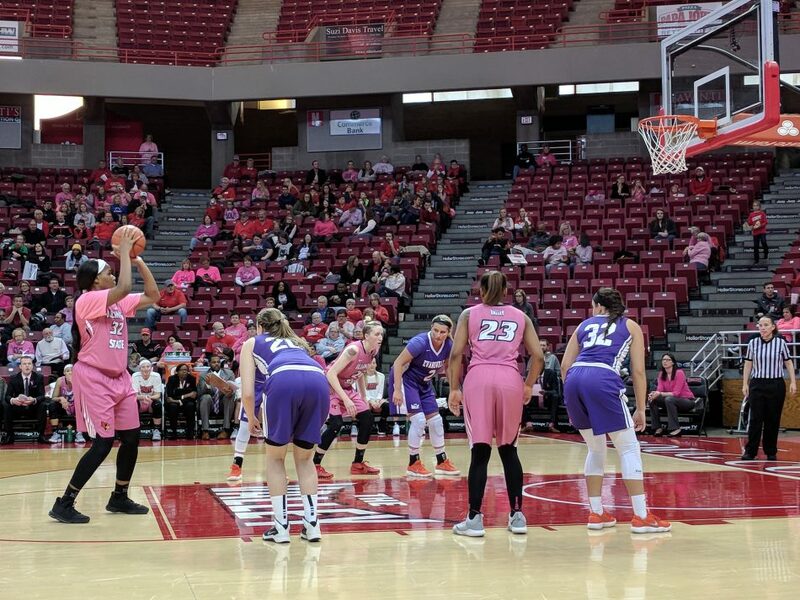 NORMAL- Five players will not be returning to the Illinois State women’s basketball team next season, according to coach Kristen Gillespie. Amaria Allen, Zaikya Beckles, Ajai Simmons, Deja Turner, and Morgan VanHyfte will not have their scholarships renewed. None of the players averaged more than 3.3 minutes of playing time per game last season, with VanHyfte missing the entire year due to a knee injury. NCAA rules allow Division I women’s basketball teams to have 15 scholarship players. With Hannah Green being the only player graduating from last year’s team and Gillespie bringing in five freshmen players for next season, there was not enough room for everyone to return. Gillespie added that the team may not have 15 players on its roster heading into next season. Nick Landi contributed to this story.